Old Trafford, Manchester - Manchester United Blog: After twenty six games; how are we doing? As things stand in the title race, United are in second place with 61 points. The leaders, City, have 63. Third placed Spurs have 53 points while both Arsenal and Chelsea are level on 46 points each. But how does this season compare with previous years? The team that year included Wayne Rooney, Cristiano Ronaldo, Carlos Tevez, Owen Hargeraves, Paul Scholes, Nemanja Vidic and Rio Ferdinand. The reds had Edwin Van Der Saar in goal and could call upon the likes of Ryan Giggs, Nani and Anderson too. It was a team good enough to beat Barcelona and to win the Champions League; and yet at the same stage of that season, United were three points worse off than they are today, while the league leaders, Arsenal at the time, had the same record the City have now. A year on and United are top after 26 games, a point worse off than City are now. Liverpool were second on 55 pts; 2 points ahead of the current 3rd placed team, Spurs. As we know, United won the league by four points that season, with Liverpool runners up. Both United and Chelsea had relatively poor records after 26 games in 2009/10. 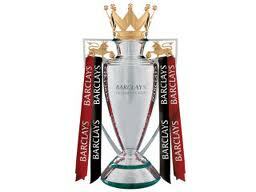 It was the Londoners who were to end the season champions with United a point behind. United had an identical points total after 26 games in 2010/11 as they had the year before; 57. They are 4 points better off this season despite a crippling injury list. In fact, since the 2007/08 season, the reds have maintained remarkable consistency. 58, 62, 57, 57 and 61 are the points won after 26 games in each of the past five seasons; a variance of just 5 points. This year is no different.